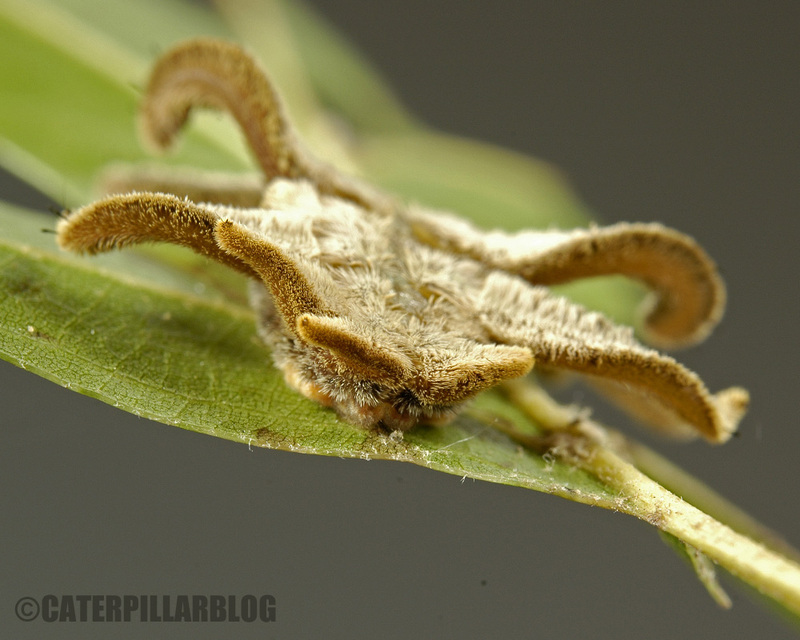 If you hear the phrase “monkey slug”, your first thought is probably not of a caterpillar. 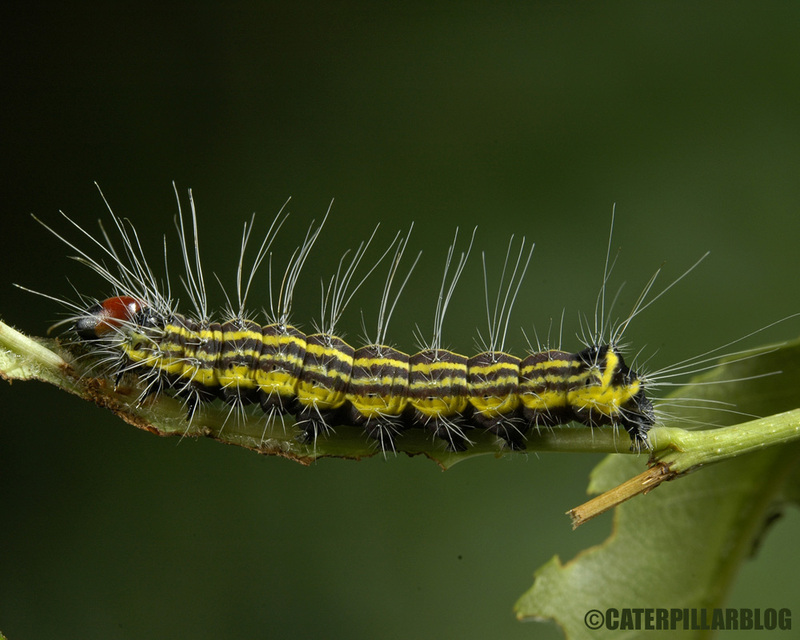 But that is indeed the common name for Phobetron pithecium, a caterpillar/moth in the family Limacodidae. Limacodidae are collectively known as the slug caterpillars due to their reduced legs and slimy looking underbelly. They even crawl by means of a liquified silk trail that they glide effortlessly across. So that is where the “slug” part of the name comes from. But “monkey”? No one is quite sure. 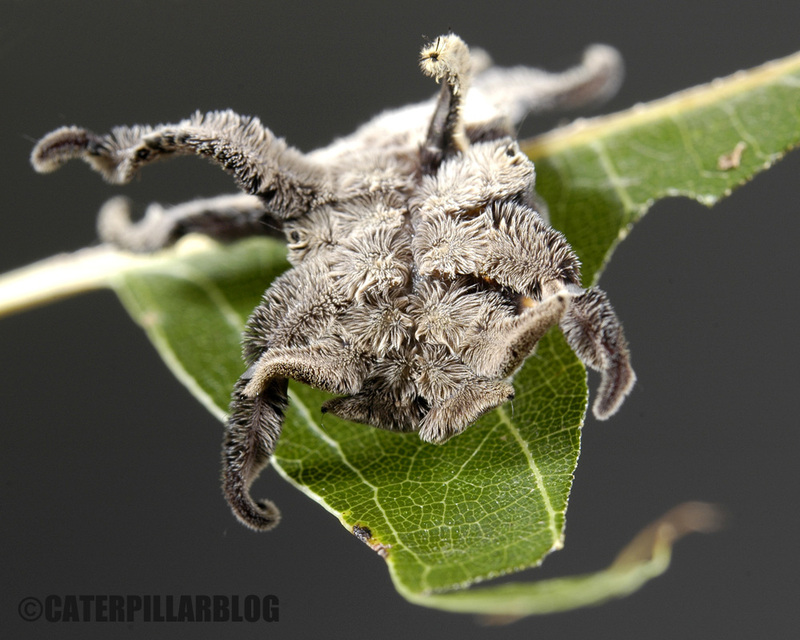 The adults are called hag moths, which doesn’t sound very flattering, though they are adorable little moths. 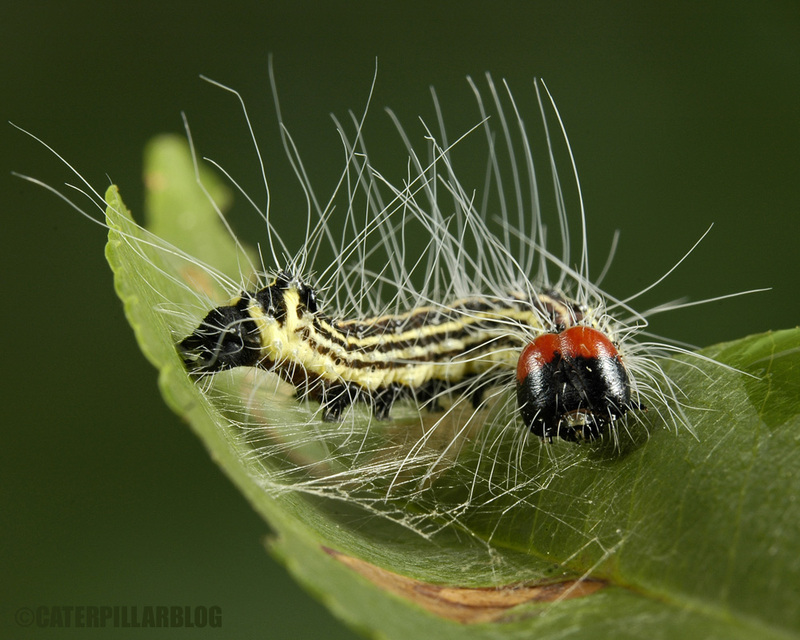 I have never seen one of these caterpillars in the wild, however a friend of mine (Sam Jaffe of The Caterpillar Lab) was kind enough to part with a few of his fuzzy little charges. I have no use for them in my research, but they have been fun pets. They can cause allergic reactions in some people (I have not tested myself yet, but just look at those hairs and spines!). However they have glided across my hands with no reaction, so it would probably require rubbing the hairs into your skin. They do have a head, but it is usually hidden. 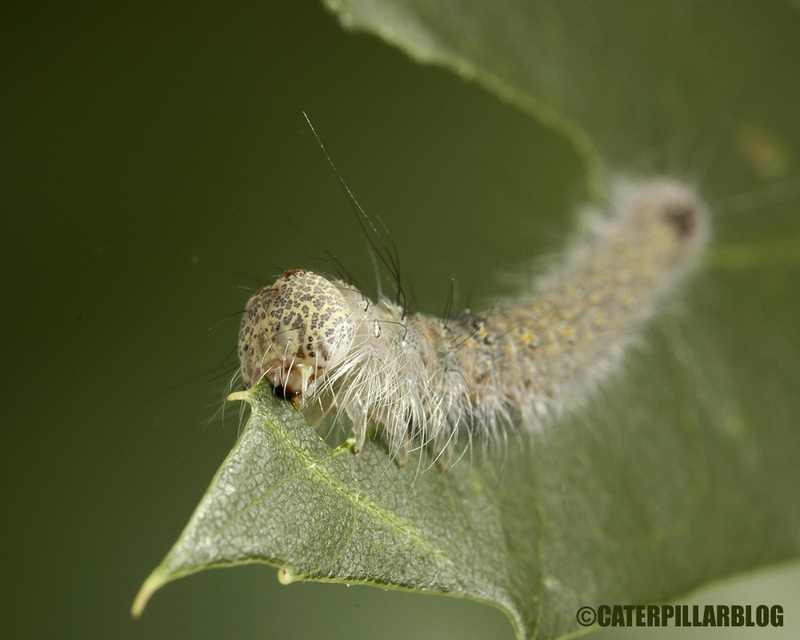 They feed on a variety of trees and shrubs, mine are feeding on oak. The “arms” can come off, the hairs are in fact embedded in a scaffold of some sort of slime that covers the body. This is a feature common to many limacodids. Here are some photos I took of these guys today. 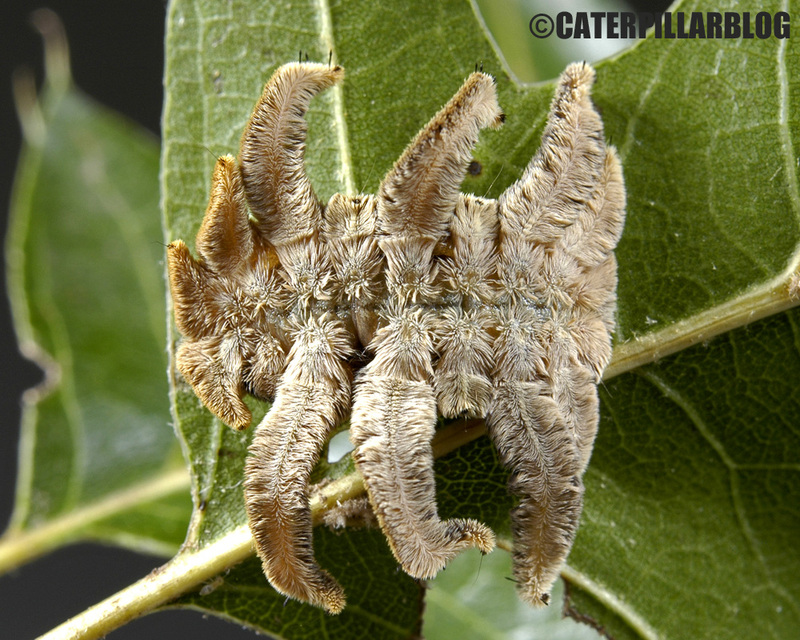 My supposed Acronicta hastulifera caterpillars are growing up. And growing into very convincing A. dactylina caterpillars. 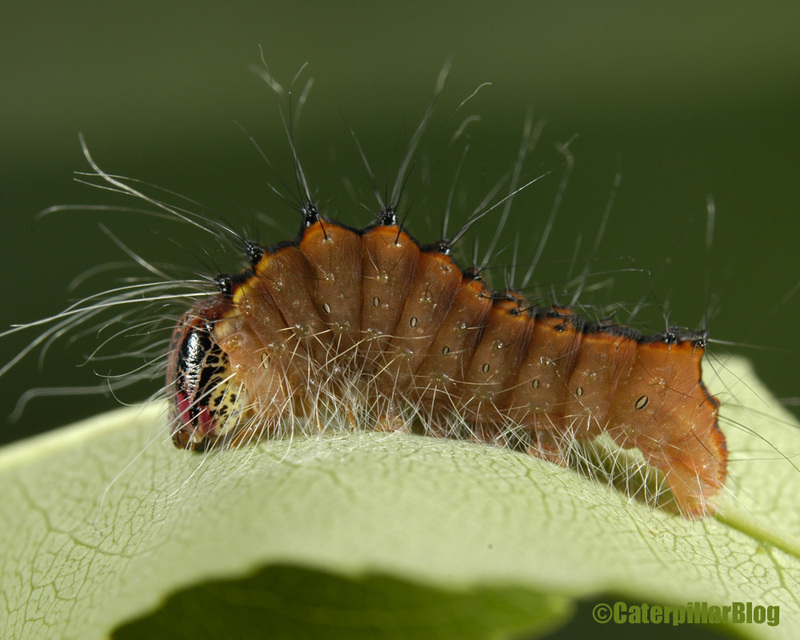 A. hastulifera have frosted hairs (hence the common name “The Frosted Dagger”) which these caterpillars do not have. 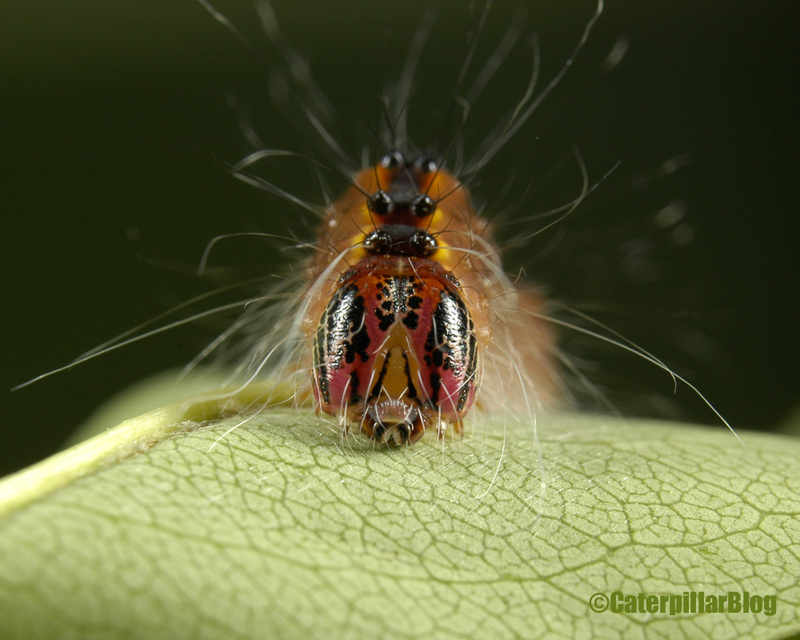 A. dactylina caterpillars have fluffy orange/brown bands, while A. hastulifera have more diffuse orange and gray hairs. They are trickier to distinguish in early instars (see these posts for pics), but at this point, I’m convinced this species is A. dactylina. Goes to show just how difficult it is to tell the adults apart, that both Dave and I misidentified the mother moth. One species on my “must rear because it is so totally awesome” list is Acronicta radcliffei. It is a very close mimic of one or more species in the genus Datana (family Notodontidae), and it appears to be aposematic. Such stark yellow, red, and black markings typically advertise toxicity. This month I got my wish! Acronicta radcliffei. Freshly molted, still on molting mat. 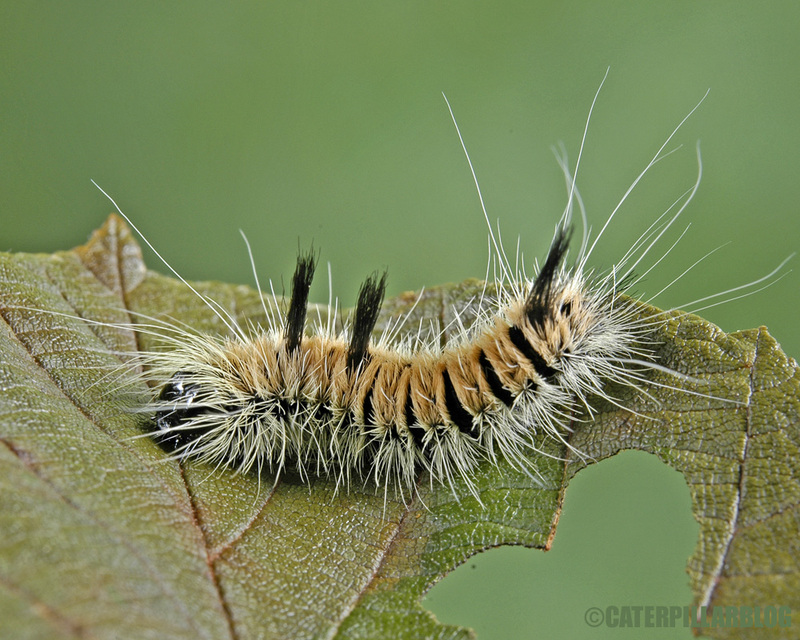 I went caterpillar collecting with another lab at Cockaponset state forest two weeks ago. We were all helping to hunt for the various caterpillar species we all are studying. We knew A. radcliffei, a relatively rare species, had been found in the area before. I wasn’t sure how optimistic to be, but sure enough, a group from the other lab snagged two of them! 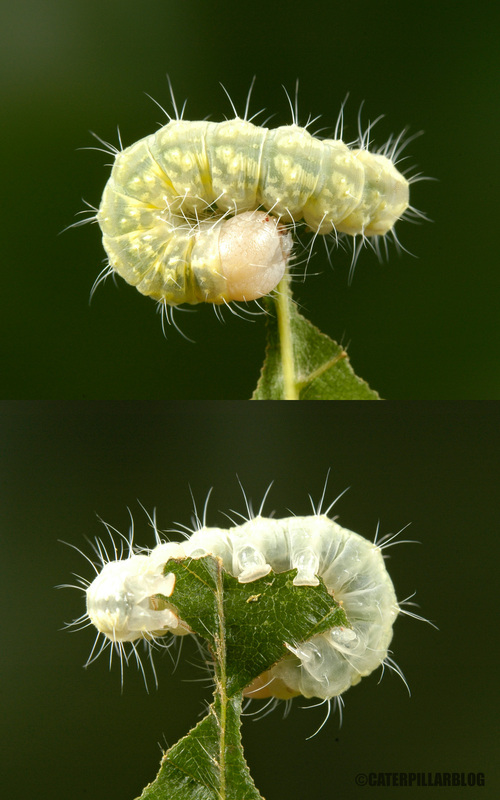 They were both still in their green and red, early instar color form – but by the next day they had both molted into their final instar, colorful vestments. One of them mysteriously died while I was on my trip to Colorado, but the other thrived. This caterpillar pupated before my experimental protocol (for testing palatability) was finalized, so I will have to wait until later in the summer or next year to test whether this species is truly chemically protected. I wonder if those colors are a true advertisement, or if it is bluffing? 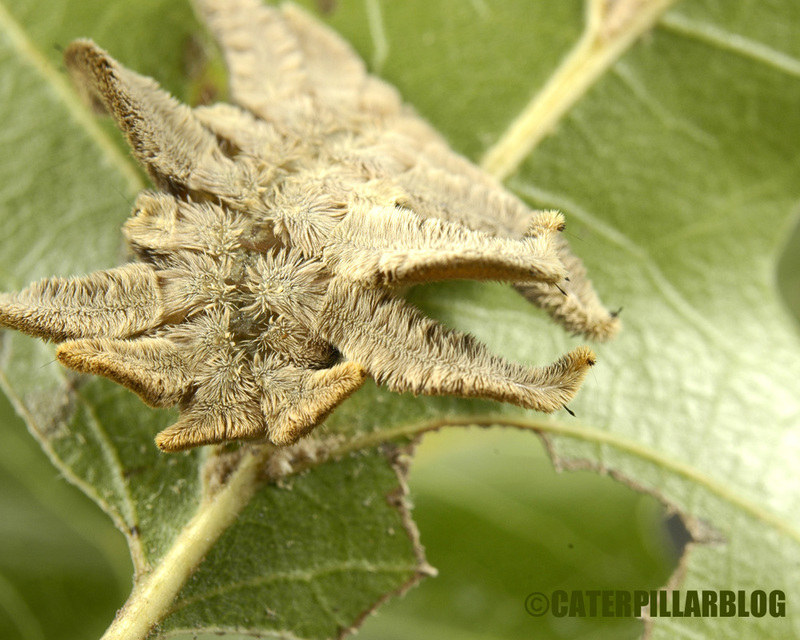 For comparison, here is a Datana caterpillar, thought to be noxious to predators. 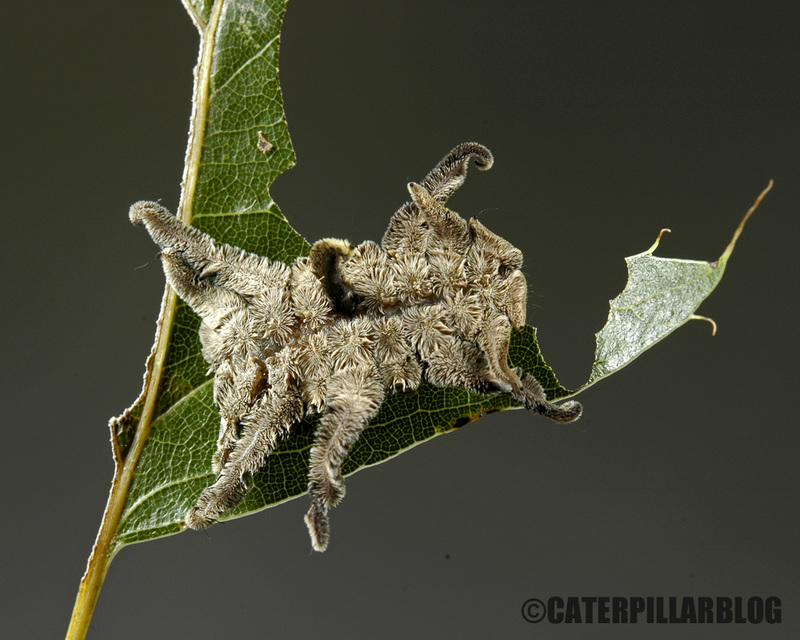 Acronicta lobeliae, enjoying an oak leaf. Yesterday someone knocked on my office door. I was momentarily annoyed at being interrupted. But when I opened the door, I saw a man holding a glass jar with parchment paper rubber-banded over the top. Jars with make-shift lids are always a good sign. 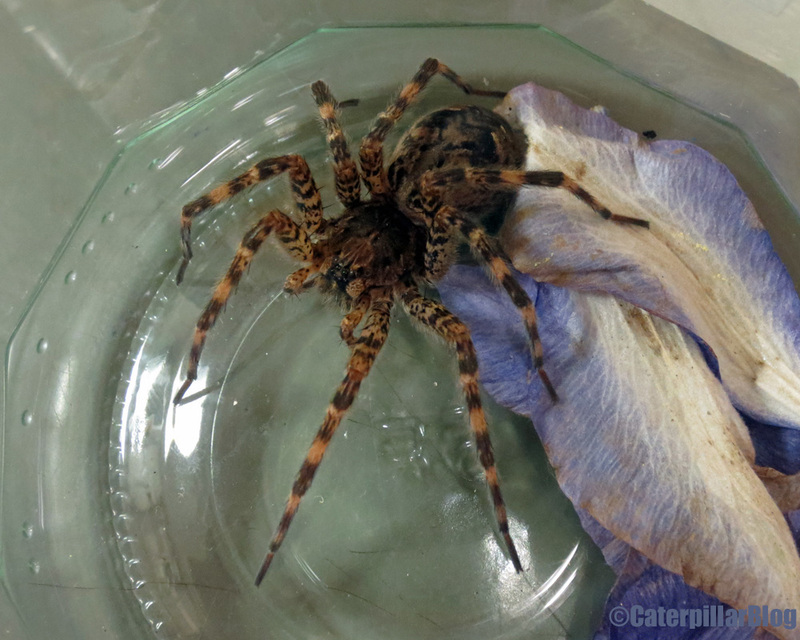 He said he was in the area visiting colleagues at UConn, and he noticed my door had bugs on it, so would I be interested in the biggest spider he’s ever seen? Why yes. Yes I would. Not exactly a small spider. 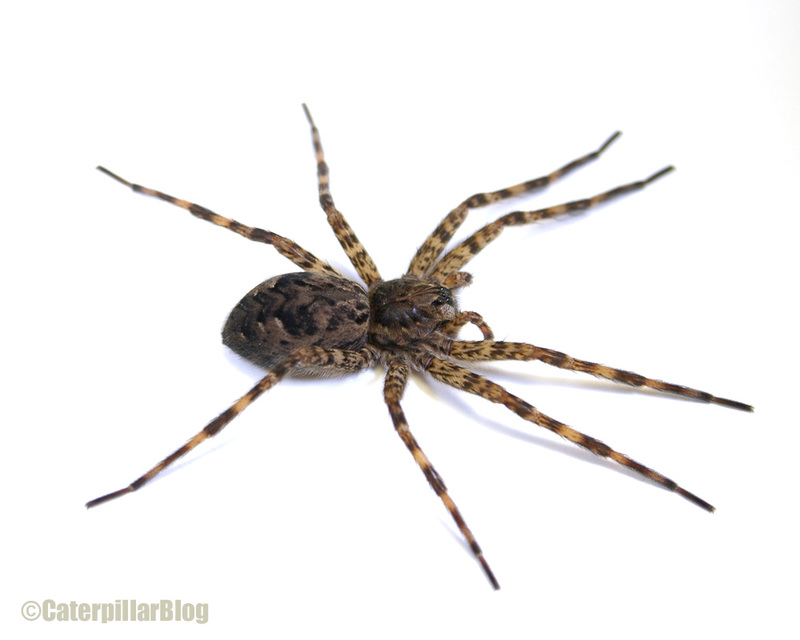 Say hello to Miss Dolomedes tenebrosus, the fishing spider. She looks big and healthy, perhaps preparing to lay an egg sac (which she will then carry with her mouth). I tried to take a few photos of her with my new camera rig, but she was not very cooperative. Even after a cool-down in the fridge, she was incredibly feisty. Here are a couple shots I managed to snag. 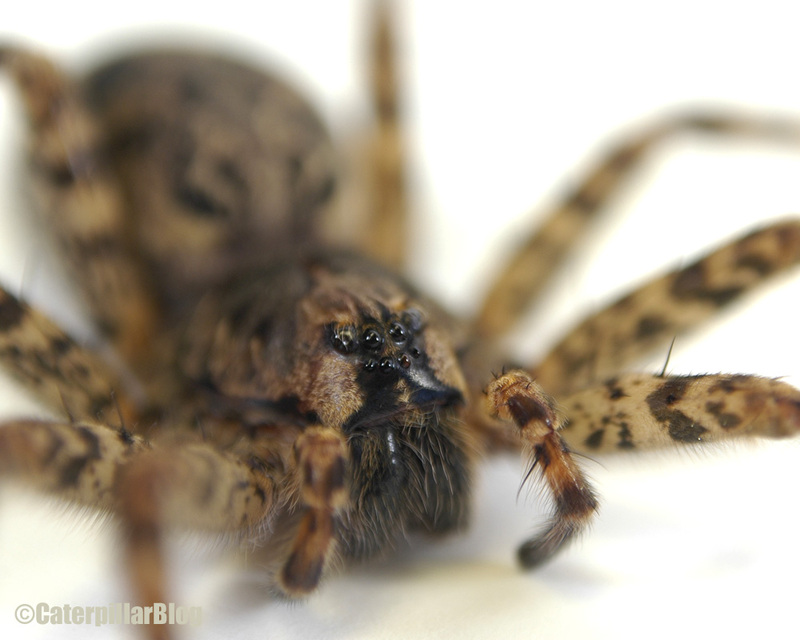 I don’t really have a reason for posting these photos… but… do you need a reason to share a pretty spider? I think not. I love macro photography – who doesn’t? To take a tiny, seemingly insignificant insect and to blow it up to the size of a cat is exhilarating. There are many wonderful macro photographers out there (check out the list of links to the right), whose photographs I drool over every day. However whenever they mention the equipment used, a pit grows in my stomach. It’s all so expensive! So many lenses and flashes and rigs and fancy things I have never heard of. How is a poor/cheap grad student supposed to get into macro photography without a huge monetary investment? How can I ever dream of improving my “take 100 pictures and hope one of them turns out sort-of-ok” strategy? For a long time I have felt relegated to various point-and-shoot cameras. I had a camera in high school I was able to attach a little macro lens to, but that camera became bulky and obsolete. I considered second hand cameras, but had no idea where to even start. Fast forward to last year. I was gifted an old Nikon DSLR camera body by a colleague. I was excited, but quickly realized that without flashes (expensive) and macro lenses (expensive) I wasn’t going to get photos any better than with my point-and-shoot. So it sat in my desk drawer. Fast forward again to this April. One of the invited speakers to the Connecticut Entomological Society meeting was Art Vaughan, a macro photographer. However he doesn’t have the same kind of equipment as other photographers. He specializes in building his own rigs to take advantage of the pop-up flash present on every camera. His rigs include clothespins, screws, bendable book-lights, aluminum foil, and pieces of metal. He finds lenses in garage sale projectors and cameras, and attaches them with bungee cords. I thought – hey, that sounds like something I could do! 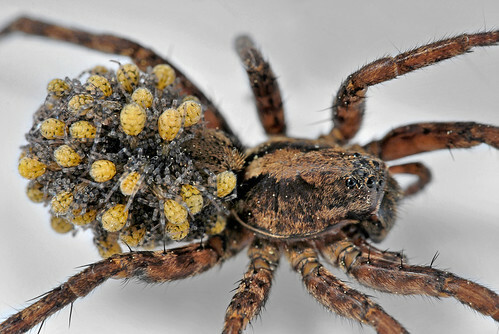 Art’s photo of a wolf spider and offspring. With the help of a colleague (who has the power tools needed to cut and shape metal) I have assembled my own camera rig. Nikon D70, Opteka 58mm macro lens, flash barrier, flash rig with book-lights, foil cards. 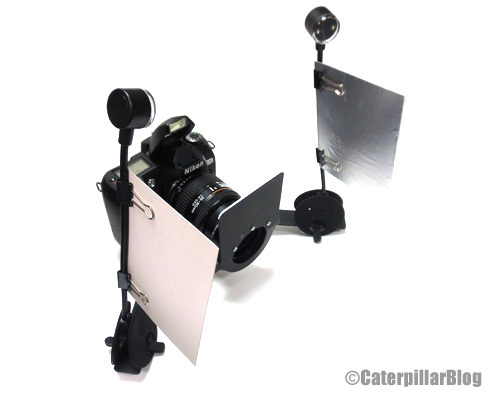 The goal of this rig is to redirect the light from the pop-up flash to the two foil cards. This causes the light to act like two separate flashes, resulting in more even lighting across the subject. I finished putting the rig together yesterday, so I tested it out on some caterpillars. 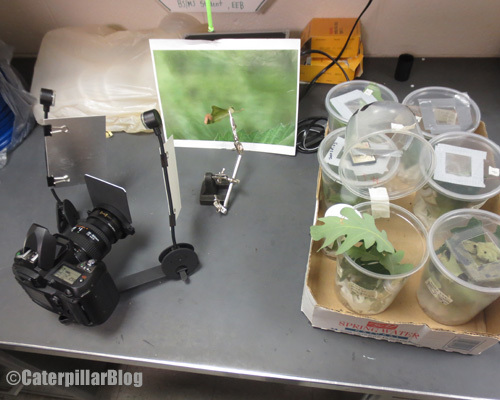 I’m pretty excited that I no longer have to rely on the availability of the “lab camera” to photograph my caterpillars. My rig is a bit bulky and awkward at times, but considering it cost me $75 (for the macro lens, adapter, and two book lights), it’s worth a bit of trouble.